There are many sakuras spots you must visit in Hakone during this gorgeous season. Sakuras are well-loved by the Japanese and many around the world, and there are numerous tourists that come just to see the flowers. There are also many sakura-viewing spots in Hakone that visitors in spring can enjoy. 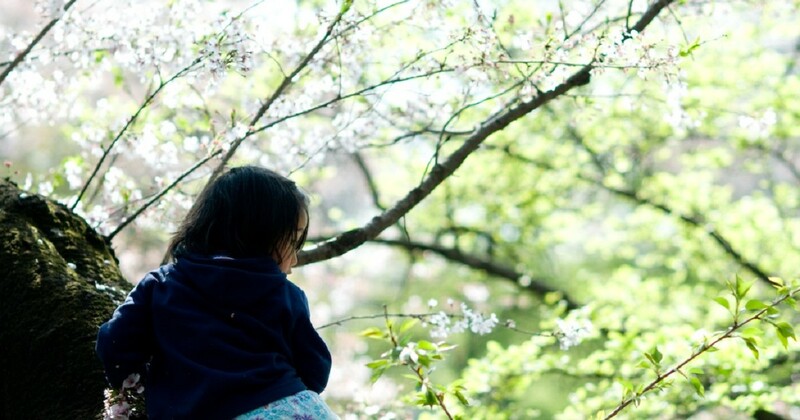 Let us introduce some main sakuras-viewing spots in Hakone. Located in the vicinity of Lake Ashi, the 80-year old Oshima cherries are its main highlight. The sakuras will be illuminated at night, and you can enjoy a different sight from in the day. Access: 1h 20mins by bus from Odawara station on the Tokaido Shinkansen line / 1h 5mis by bus from Hakone-yumoto station on the Odakyu Romancecar line. Chosen as the top 50 best scenery spots in Kanagawa, you can get the perfect view of sakuras with Mt. Fuji in the background. Lying along the Hayakawa river is 450m of Yoshino cherry trees, and fully experience it when the trees are in full bloom. Access: Take a bus bound for Togendai from JR/Odakyu Odawara line, Odawara station for around 40mins and alight at Miyagino. It is a 3 min walk from the station / Take a bus bound for Togendai from Hakone Tozan Railway, Hakone-yumoto station for around 30mins and alight at Miyagino station and walk 3 mins. A sakura tree that branched out into two types of sakuras is called Meoto (husband and wife) Zakura, due to its resemblance to a loving couple. Access: Take a bus from Hakone Tozan Railway, Hakone-yumoto station for 17mins and get off at Hatajuku (Bound for Hatajuku). It is a 5mins walk to the entrance of the hiking course as you head towards the waterfall you see upon alighting. Spring sees the blooming of Yoshino sakuras, Japanese sakuras, Fuji sakuras here, resulting in its nickname, Sakura tunnel. As it is located above sea level, it blooms differently from other sakuras in the region, and you can enjoy it even after other sakuras wither. Enjoy a field of Yoshino sakuras spread over 5000 tsubos (~16530m2). Access: 20min walk from Owakudani, Hakone Tozan Railway / Take a Hakone Tozan/Izu Hakone bus from Hakone-yumoto station for around 23 minutes and get off at Horaien. Sakuras in Japan bloom at varying times, and they start blooming around end-March in Hakone, and the peak of the season is April. Sakura-viewing is a popular activity in Japan, and many bring their boxed lunches and alcohol to have a picnic with their families and friends. If you happen to visit Hakone during this period of time, how about trying this tradition out too? And do remember to clean up your rubbish after that.